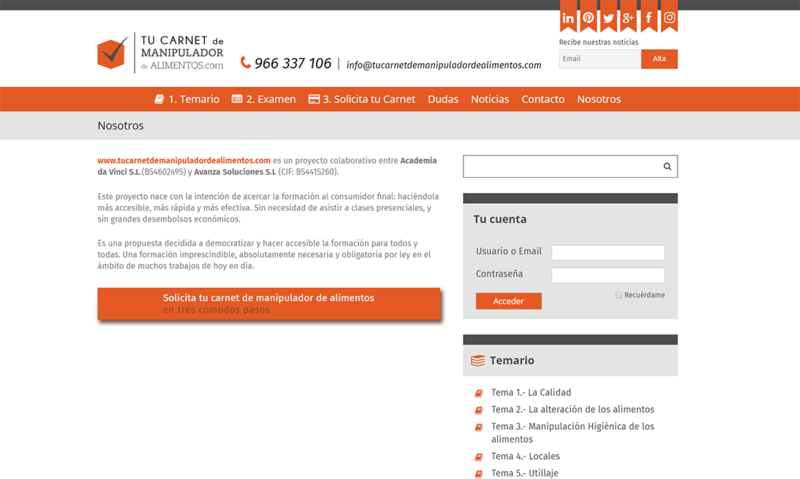 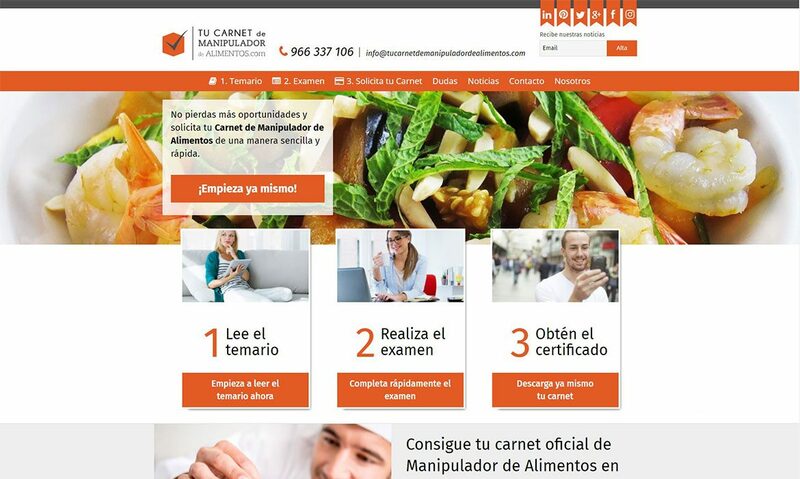 Web that offers training to obtain the food handler license approved in Spain, without the need to attend face-to-face classes, in a simple way. 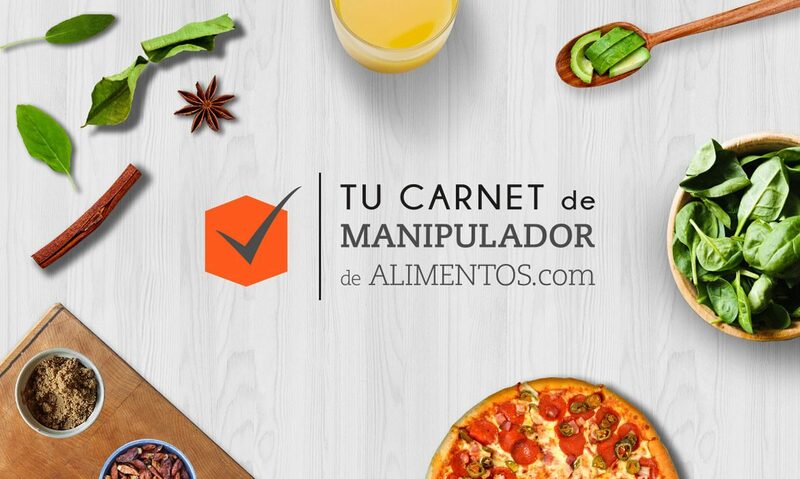 Bringing a much needed service for people who need to have a Food Handler License for their daily work without having to travel to study in the bureaucratic public organizations that offer the service. 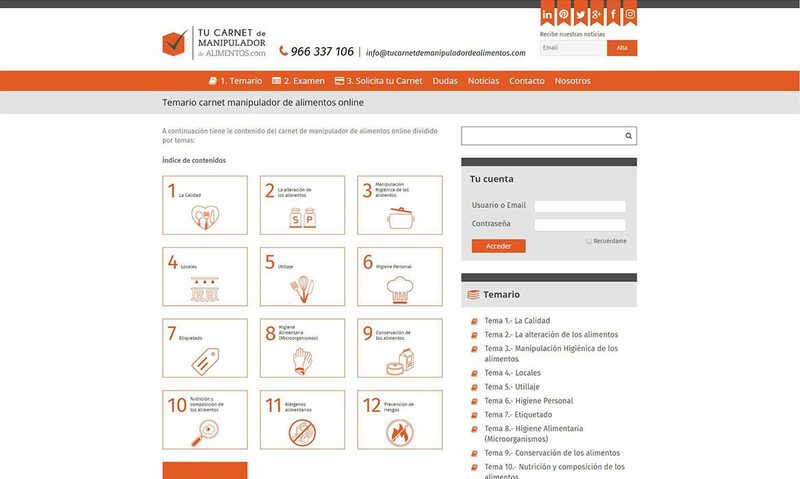 The main goal was to provide the customer with a license they can get from their home and generate the confidence necessary for users to decide to contract this service on the Internet with our website. 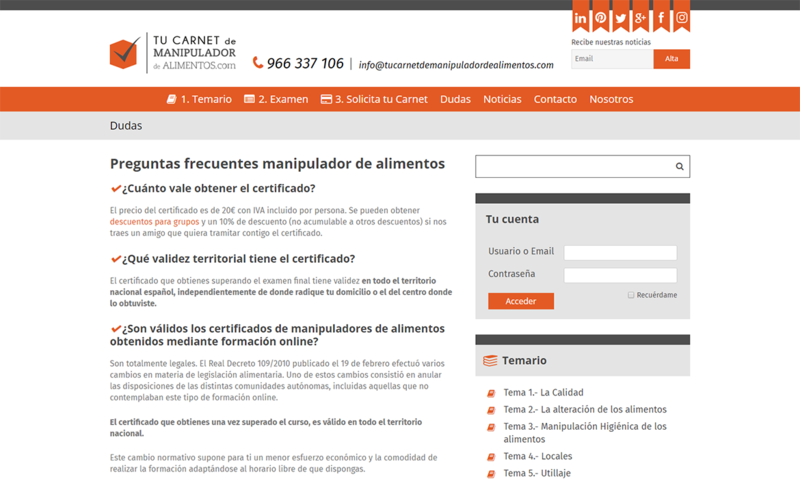 We created a custom website with a clean and close brand design where users could be trained and examined in a comfortable in order to obtain their food handler license. 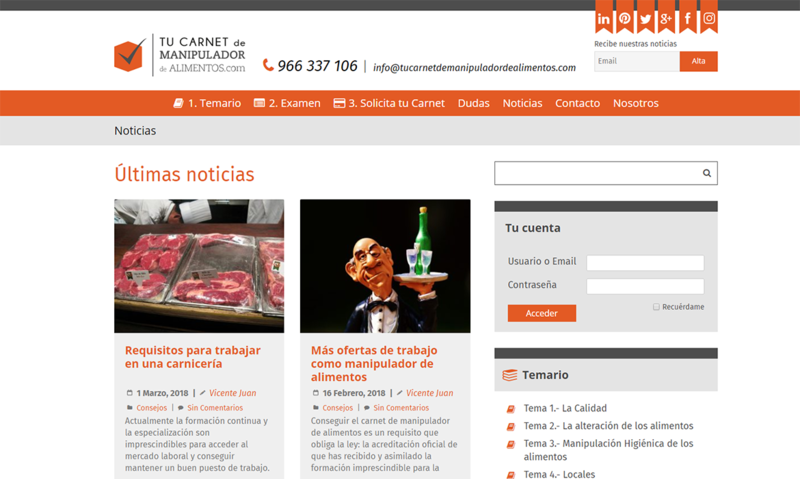 In addition to this, we also worked on various social networks through which we have expanded the community and kept all potential customers informed.